Was it overkill, overchill or overgrill? That is the question facing researchers wrestling with one of the oldest and biggest mysteries in extinction science: Who, or what, killed all the giant Ice Age animals about 11,000 years ago? 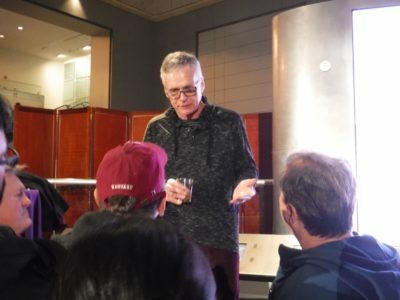 There are three major theories — but no consensus yet, explained mammalogy curator Ross MacPhee at a recent SciCafe event at the American Museum of Natural History. Wearing a black jacket, a dark gray hoodie and maroon pants, MacPhee spoke in front of a colorful backdrop depicting giant elephant birds, giant goanna (related to the Komodo dragon) and giant armadillos from the Pleistocene Epoch, which spanned from 2.6 million to about 11,700 years ago. Overkill, MacPhee says, is the theory most people are aware of: Humans hunted dozens of megafauna — mammoths, mastodons, saber-toothed tigers and many almost mythical giant creatures — into extinction. 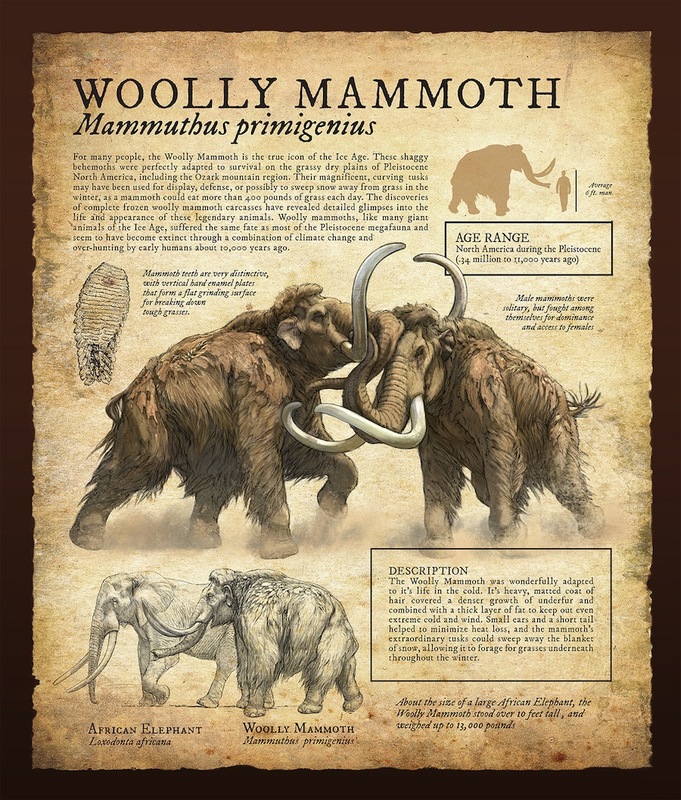 But there’s no archaeological evidence to support the idea, such as sites demonstrating that people not only lived near the large animals, but also interacted with them. “Where are the bodies?” MacPhee asked the audience at the December event. Proponents of the theory, though, say lack of evidence is the evidence. Extinction occurred too quickly for remains to be buried, according to a September 2018 paper published in the journal Ecology and Evolution that summarizes the overkill theory and its critiques. Supporters of the overchill theory, on the other hand, believe a cold spell wiped out many large prehistoric animal species. During an ice age, so much fresh water was locked up in ice that sea levels dropped precipitously and temperature zones changed. This caused changes in vegetation and the eventual demise of the megafauna, MacPhee said at the event. But our planet experienced 22 ice advances and retreats in the last 2.6 million years, all of which the large animals had survived — including the last big ice event a few thousand years before the extinction actually happened. “The Big Ice Age, which you would think would have been responsible for these extinctions, was over and done with by about 18,000 years ago,” MacPhee said. Lastly there’s overgrill, a theory suggesting that an asteroid impact from outer space may have set off wildfires and kicked up ash that killed swaths of animals. However this theory is not without its own problems: It doesn’t explain why the decimation of megafauna populations did not spread out evenly from a singular site. “South America lost just as many animals as we did here in North America,” MacPhee said at the talk. But in the middle between the two continents, or at the same points of latitude across the globe in North Africa, there weren’t any losses, he added. MacPhee’s new book, End of the Megafauna, is a “a crystallization of his long research and his personal quest to solve the mysteries of extinction,” wrote fellow paleontologist Alexandra van der Geer in an email. To MacPhee, dealing with extinction in the present day comes down to two options — ignore it or be proactive. “You have to be optimistic about the capacity of humans to solve the problems that they generated,” he told Scienceline. Prehistoric megafauna extinction teaches us that loss of species is part of life on Earth, MacPhee says, but the danger lies in allowing humans to be the main instigator.